Eldad Harouvi is a military historian and director of the Palmach Archive in Tel Aviv. He specializes in the role of British Intelligence during the Palestine Mandate. His MA thesis examined British Intelligence cooperation with the Jewish Agency during the Second World War. Dr Harouvi was previously an officer in the IDF Military Intelligence. This book tells the story of the Criminal Investigation Department (CID) of the Palestine Police Force (PPF) in the historical context which impacted the CID’s missions, methods, and composition. At first, the CID was engaged in providing technical assistance for criminal investigation. Following the PPF’s poor performance in the Arab Riots in 1929, a commission of inquiry, headed by Sir Herbert Dowbiggin, recommended adding intelligence gathering and surveillance of political elements to police functions. Teams were set up and a Special Branch established. From 1932 the CID deployed a network of “live sources” among the Arabs and Jews, and issued intelligence summaries evaluating Arab and Jewish political activity. Post-1935 the security situation deteriorated: Arab policemen and officials joined the Arab side, thus drying-up sources of information; the British therefore asked for assistance from the Jewish population. In 1937 Sir Charles Tegart recommended that the CID invest in obtaining raw intelligence by direct contacts in the field. In 1938 Arthur Giles took command and targeted both the Revisionist and Yishuv movements. Although the CID did not succeed in obtaining sufficient tactical information to prevent Yishuv actions, Giles identified the mood of the Jewish leadership and public – an important intelligence accomplishment regarding Britain’s attitude towards the Palestine question. But British impotence in the field was manifested by the failure to prevent the bombing of the King David Hotel in Jerusalem. Towards the end of the Mandate, as civil war broke out following the UN General Assembly resolution of November 1947, the CID was primarily engaged in documenting events and providing evaluations to London whose decision-makers put high value on CID intelligence as they formulated political responses. This is an historical narrative of CID that is essentially driven by the primary source material rather than an analysis of the political and criminal nature of intelligence systems at end of empire. The PPF CID reflected the multi-faceted nature of British policing and the tensions between colonial and civil styles of policing which occurred across empire. The importance of the transfer of this policing knowledge cannot be underestimated. It was to some extent reshaped by the Palestine policing experiences and (re-)exported across the British Empire. Indeed many former members of the PPF (including CID officers) found new policing employment at the end of the Mandate throughout the British Empire. Sir Richard Catling, for example, ex-PPF, noted that his earlier Palestine experiences within CID were the backbone to the policies he developed in relation to police intelligence systems when he became Commissioner of the Malayan and then Kenya Police during the period of decolonization. 1930s, it was unable to master and infiltrate the well-organized Jewish insurgency of the 1940s, despite local successes against more extreme Jewish terror groups. 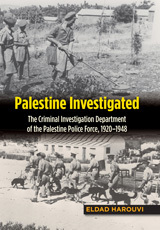 This work provides a history of the Criminal Investigation Department (CID) of the Palestinian Police Force (PPF), from 1920 to 1948, during the period of the British Mandate for Palestine, when the CID operated as the major intelligence service of the Mandatory government in its conflicts with Arab rioters, the Jewish Hagana, and other underground groups, as well as against the Nazis and Communists. The book draws on recently released sources from the CID Archive in Israel, as well as British archives, memoirs by veterans of the Mandatory Palestinian Police, and recordings of interviews with former CID personnel. 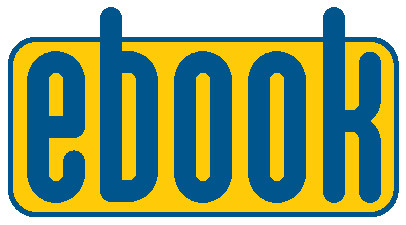 The book highlights the CID’s policies, methods, strategies, actions, and consequences of its suppression of Jewish unrest and its efforts Jewish terrorism. B&w maps and charts are included.